In the first installment, I looked at the modest Klausenburg synagogue at 131 Lee Avenue that used to be a motion picture theater. 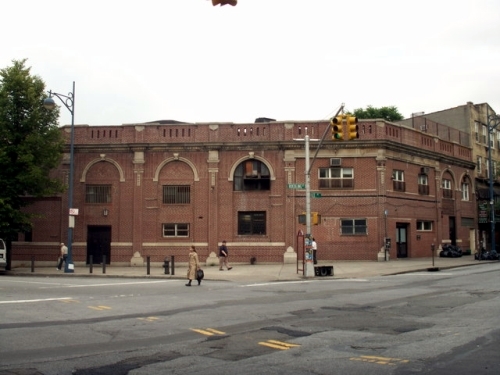 A few blocks away, at 27 Lee Avenue, we have the huge Vien Synagogue that used to be a theater too, but for its story, we need to go back much further in time. In the buildings on its street we have a long history as location for the center of social life, alternating between religious and entertainment centers. The Vien building is often confused with a different building that stood on that block. the Lee Avenue Baptist Church was built in 1872 and it was built of corrugated iron and wood. In 1878, following a fire, its organ was rebuilt. The church’s pastor was the charismatic and liberal Rev. John Hyatt Smith. 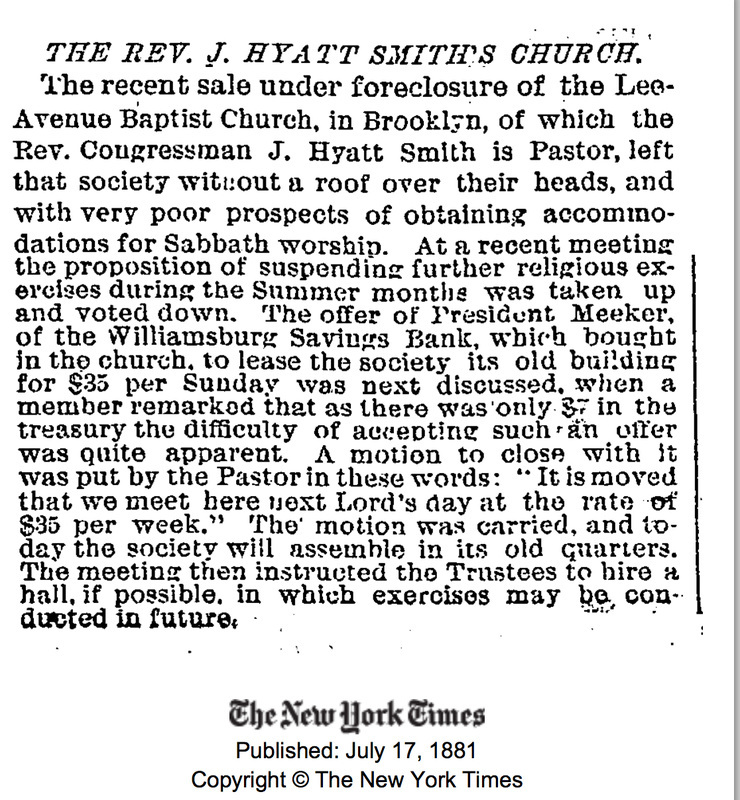 Smith was a fierce proponent of open communion, and it got him into trouble with the Baptist association. 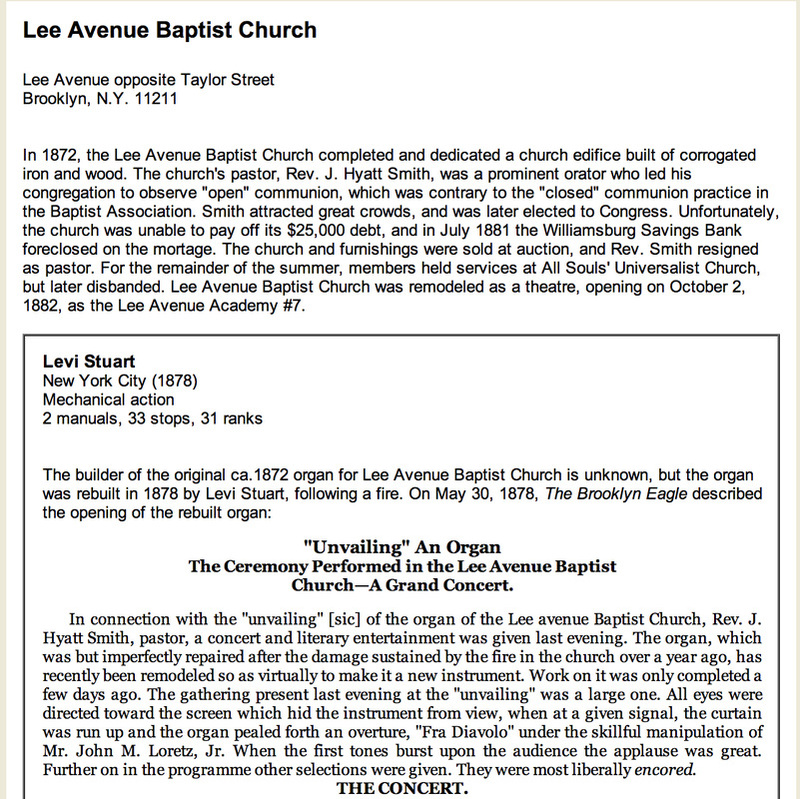 According to Brooklyn History “Due to the liberal views of its pastor, the Reverend J. Hyatt Smith, the church was expelled from the Long Island Baptist Association and it was removed from its Lee Avenue Building.” It seems that what happened was the church lost its financial backing and with $25,000 in debt, could not afford to stay in its church. Smith wrote a book “The Open Book, or Light and Liberty” defending himself, and he left his congregation to become a congressman — but not before giving a fiery speech in defense of his position. The speech was covered by the Times. 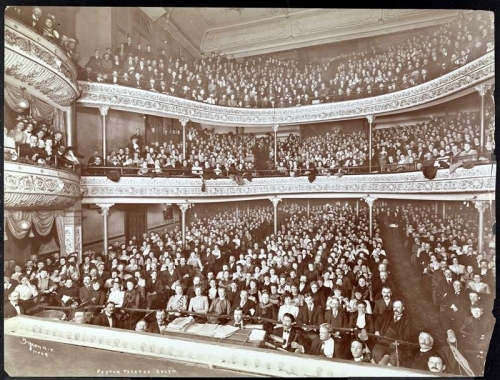 In 1882 the church reopened as a theater. It subsequently went through a dizzying array of transformations and was in different hands for different entertainment uses. Music, comic opera, etc. It was: the Lee Avenue Academy #7, Phoebus Theatre (for one season! ), and the Lee Avenue Music Academy. 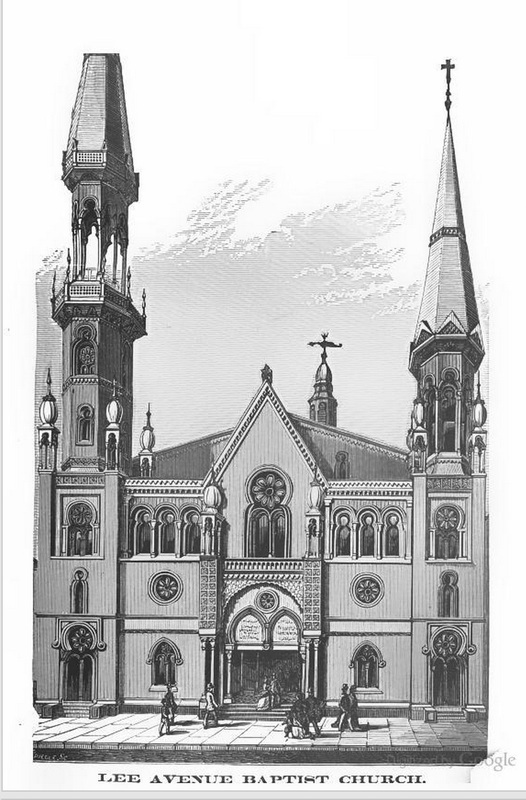 The exterior was painted green in “an Iish Jig.” In a book published in 1901 the building’s history is dramatically recounted:“It was built to accommodate the immense congregations that flocked to hear that eminent Bapist divine, J. Hyatt Smith. But changes came, and doxology turned to lighter music when the big church was transformed into a theater. And finally, came a merry Irish jig when some ambitious speculator put on a coat of green paint and made the theater over into a home for comic opera. But the merry jig did not last for long. The comic opera failed to be comic, and the big building was closed and left in gloomy silence to think over its past. In March of 1900 a colorful fellow by the name of Corse Payton bought the building, then called the Lee Avenue Academy of Music, and completely renovated it for the Corse Payton Theatre. 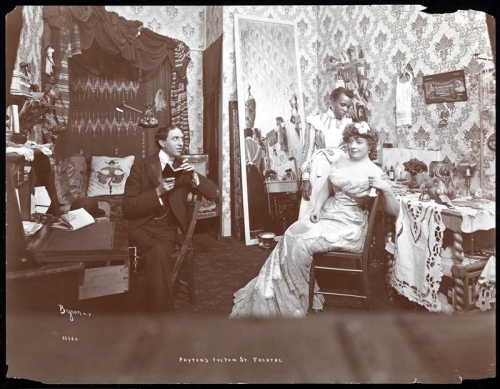 The place was completely altered with the help of “painters, carpenters, upholsterers and scenic artists.” Payton got famous for his 10-20-30 policy. He promised seats for .10, .20 and .30 cents, making the theatre affordable to everyone. If you look at the picture of the theater below, you’ll notice its resemblance to the church – plus fire escapes and a theater hood, as well as its 10-20-30 sign. Note how enormous the inside is, and that it’s a full house! At the prime of Payton’s career, the theatre was the center of entertainment life. His policy worked. He consistently ran shows and his theatre was one of the most popular in Brooklyn. He himself billed himself “America’s Best Bad Actor” and was for a brief decade a dazzling star. A book was written about him titled “The Romance of a Western Boy” with all the dramatic elements of a rising star, a man who transformed himself and everyone around him. 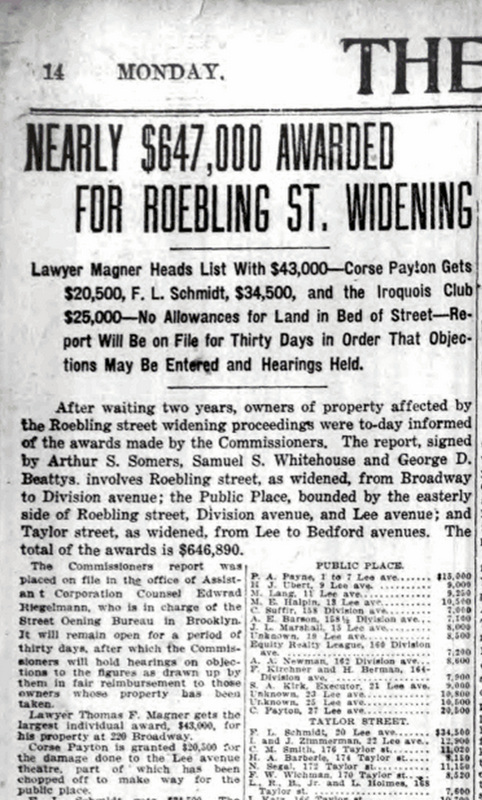 On Feb 24, 1909 the Eagle ran notices of eminent domain, parts of Williamsburg that would be affected by the expansion of Roebling Street and other nearby streets. 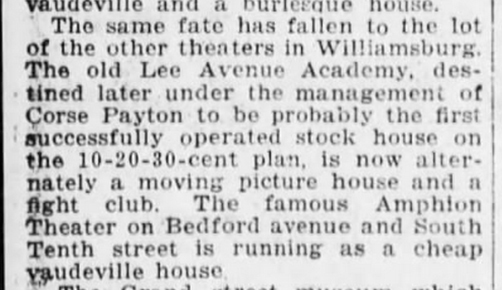 A year later, Feb 1910, the Eagle again wrote about the street widening, this time about its implications on the popular Payton’s Theater. 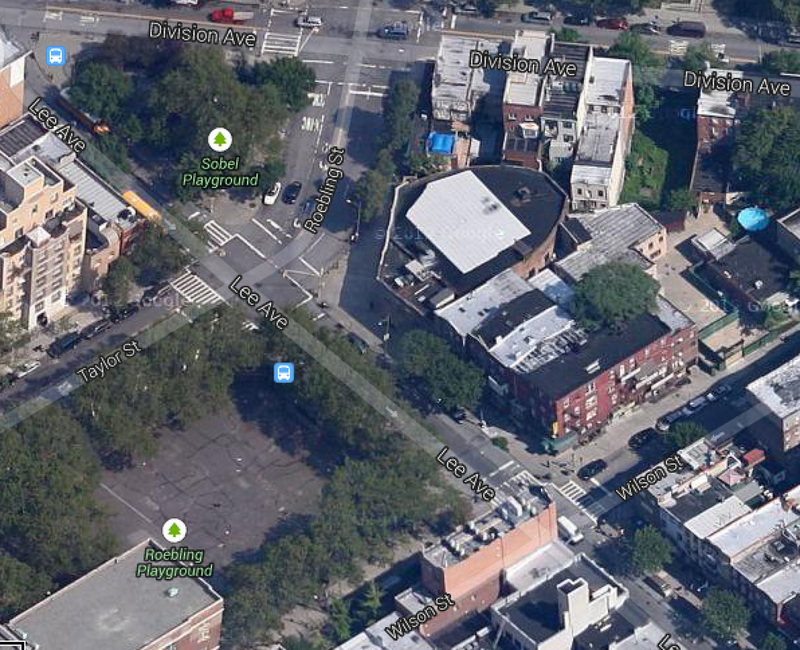 “The fate of the Lee Avenue Academy in the Eastern District, where Corse Payton is at the present time exploiting one of his stock companies, is in the hands of a condemnation commission… The commission is considering the plan inaugurated by the city for the extensions and widening of Roebling Street, as one of the approaches to the plaza of the Williamsburg bridge. Under the plans for the street, one corner of the old academy will have to be acquired. Mr. Payton takes exception. 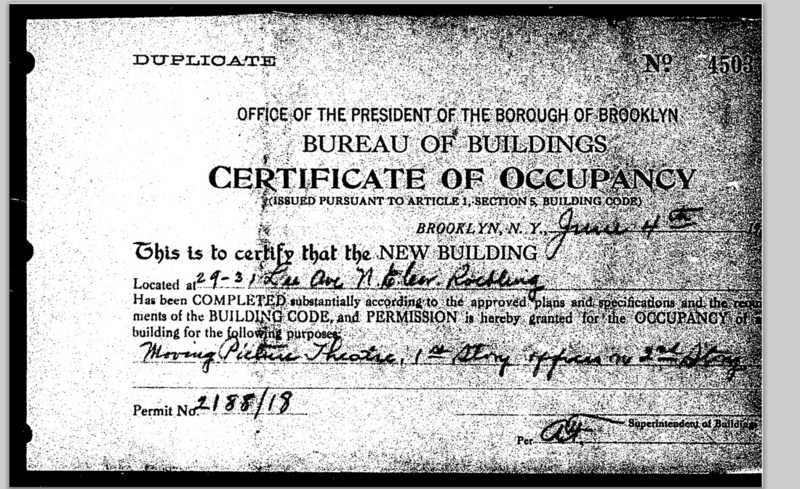 If part of the building is taken, he claims that the seating capacity of the theater will be reduced and that the building for theatrical purposes will be practically worthless.” Payton wanted the city to either buy off the whole building or avoid touching it. For Payton, it was either all or nothing. But he did not get his way and a part of the theater was cut off. 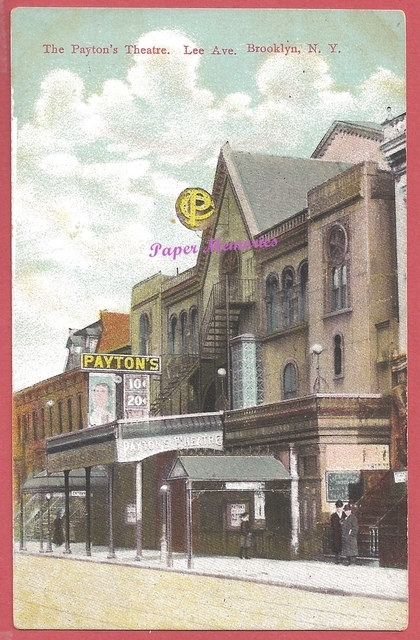 In late 1910 he sold the theater to William Fox, although the theater continued to operate for years later under Payton’s name and Payton had an interest in the company that controlled the property. In 1913 a settlement with the city awarded Payton $20,500 in damages. The building, much reduced and now very dated, continued to operate for the subsequent years and run ads regularly in the Eagle for performances. 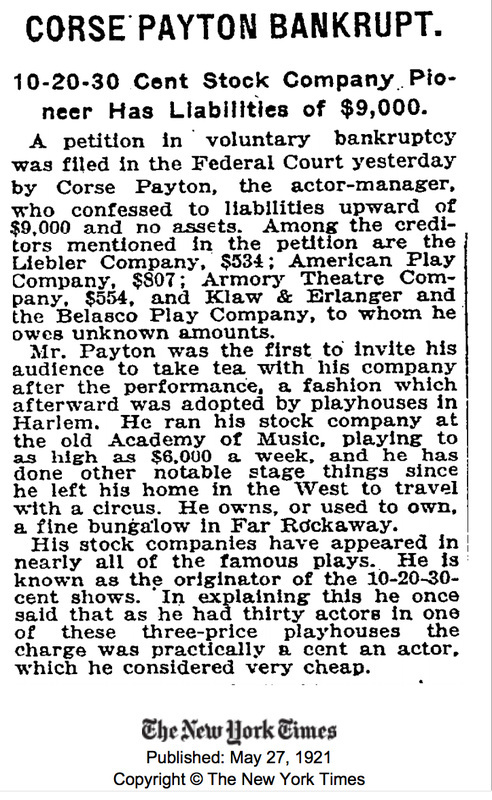 Payton even returned in 1913 for a performance of “The Liars.” It now also served as a fight club and motion picture theater. In 1921 Payton filed for bankruptcy. Payton died in 1934 at age 66. 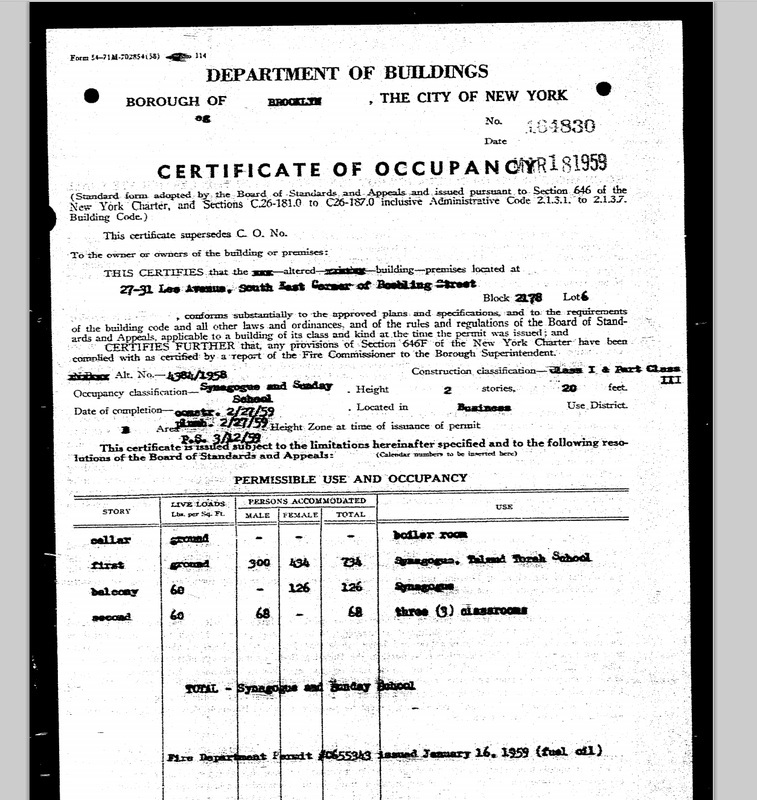 In his obituary, the New York Times reports that he had to abandon his theater when the BMT (Brooklyn Manhattan Transit) line cut a line through his balcony. 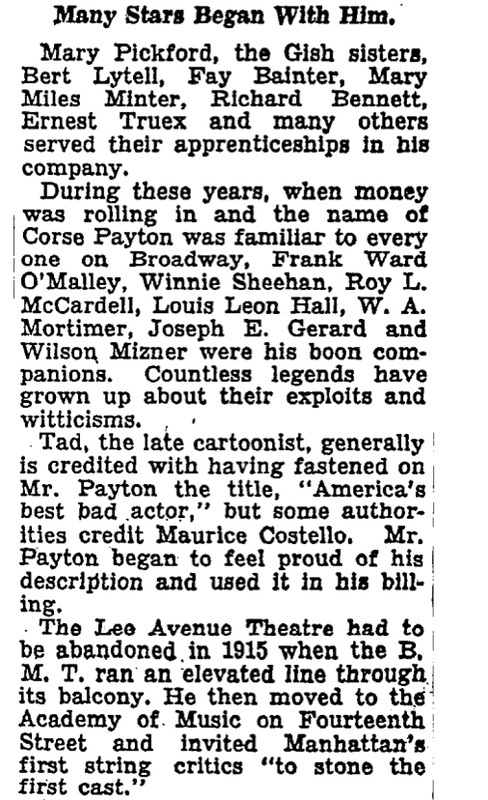 I could not find anything to support that, and some theater critics have suggested that Payton invented it to explain his decline, but my guess is the New York Times incorrectly reported the 1910 street change that cut off a piece of his theater and misappropriated it to the BMT. In any event, he was a colorful man and a part of the area’s history, and he was remembered to have earned $100,000 in his heyday, while there were times he didn’t know when his next meal would come from. But, says the Times, he was not particularly worried about it anyway and his wit became legend! 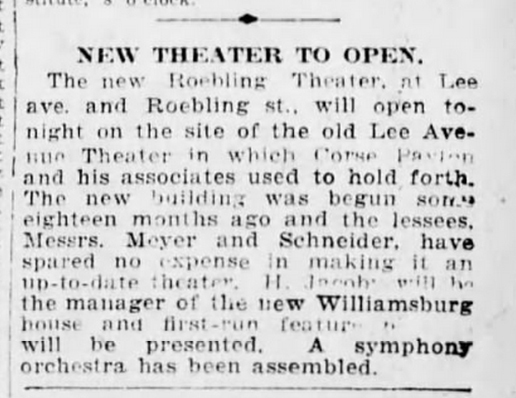 June 7, 1919: Our Theater opens as Roebling Theater. A modest notice in the Eagle announced that the “new building was begun some eighteen months ago and the lessees, Messrs. Meyers and Schneider, have spared no expense in making it an up-to-date theater… A symphony orchestra has been assembled.” This theater building, although well furnished and built to accommodate 1000 people, did not garner the same attention because it was only a motion picture house that ran first run theaters. It did not have live performances and the theater no longer held the center of the entertainment sphere the same way. It was the Roebling Theater until 1936, when it was renamed Wilson Theater. I know several people who still remember the Wilson Theater, both when it was in use as well as well it was boarded up and empty. Marty Frankel who lived in Williamsburg and went to Yeshiva Torah Vodaath, told me that the theater admitted yeshiva students on Saturday for free, with the expectation that the religious students who could not pay on Saturday would return afterwards to pay. Marty says prizes were raffled out all the time and on the one occasion he went on Saturday, he won a football, and was left in a bind when he had to figure out how to get it home. In contrast to the Model’s Theater which was small, this theater was the motion picture house of his childhood. 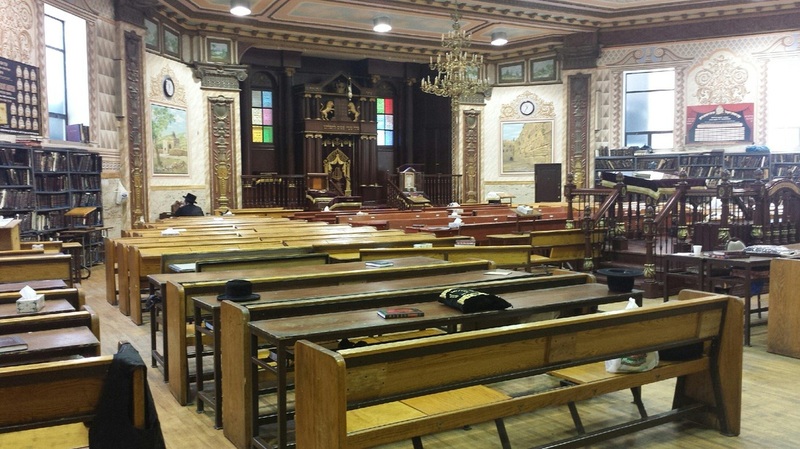 As you can see, the synagogue could accommodate 300 male and 434 female persons on the first floor, and 126 female but no male persons on the second floor. For many years, the Vien synagogue had a slanted floor, remnant of its theater days. 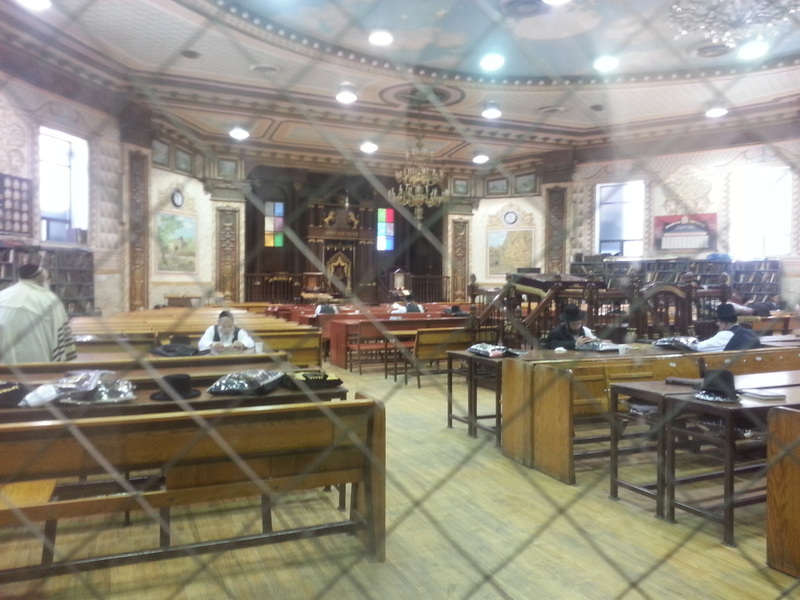 Many remember praying or studying when the floor was still tilted and the synagogue resembled an auditorium. Even today, many elements of the building still reflect its theater’s past. The aerial view shows a round back, and from the back of the building you can see the stage doors. I would guess that some of the beautiful interior design dates back to its theater days. 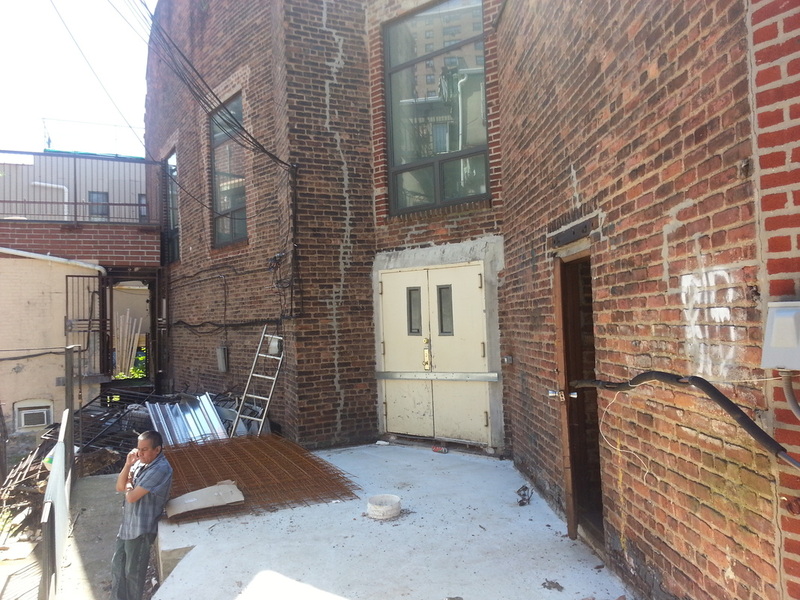 But with the most recent Vien Rabbi, the floor was renovated and leveled. 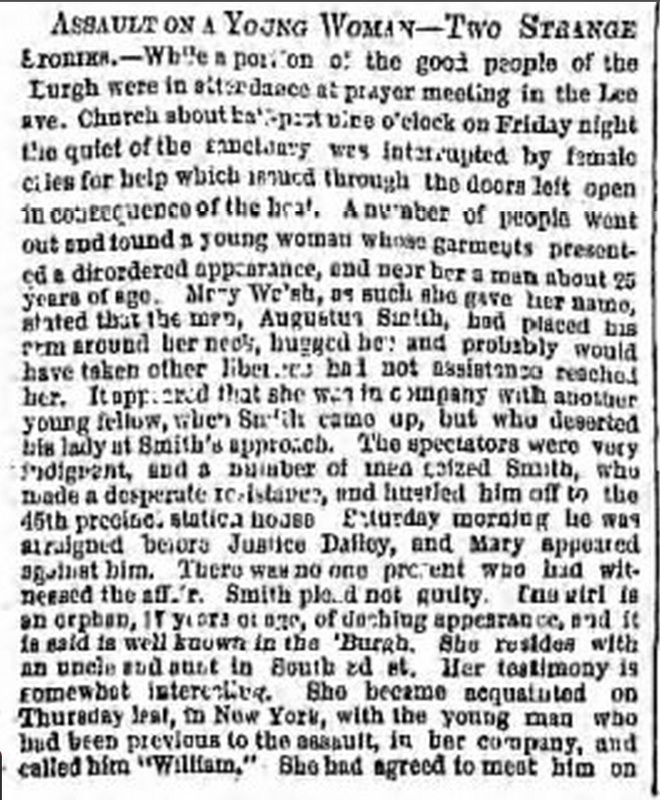 A very dramatic story went down on a Friday Night 9:00pm on Lee Avenue in 1865, when the good people of the “burgh” were praying at the Lee Avenue church with the door open, because it was so hot. They suddenly heard a female shriek. They found a woman who called herself Mary with her clothes disheveled and a man next to her. 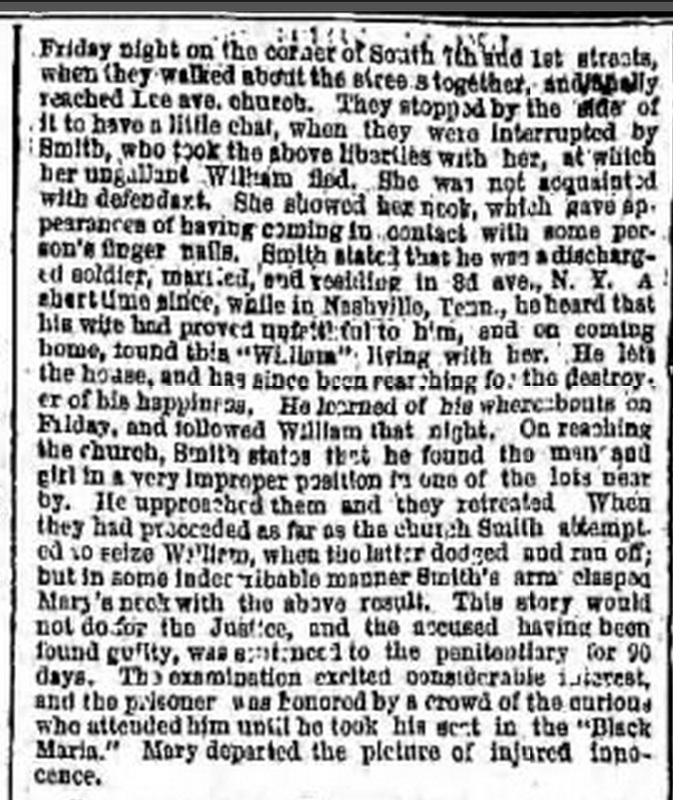 According to Mary’s testimony, she was in the streets with her lover William (in “improper position” said Smith) when she was assaulted by twenty five year old Augustus Smith. Her lover fled. Smith “took liberties” with her and would have gone further had he not been stopped. Mary showed the evidence: bruises on her neck. Smith had a very different testimony. According to him, he returned from the army to find that his wife was having an affair with William, Mary’s lover. He set out to find this man and found him at the church on Lee Ave with a girl, in an improper position. William fled, but Mary stayed, and Smith’s hand twisted in a way that accidentally resulted in bruises on Mary’s neck. The judge didn’t buy Smith’s testimony and pronounced him guilty and sent him away for ninety days.